Can you believe it? I linking up again with Mrs. Wills Kindergarten for her Peek At My Week Linky Party! 2 weeks in a row! Go me! Here are my plans. Remember: You must click on images below and open in google docs. Then you have to download them in PDF to get links to products! I know the kiddos will be WILD this week because...well it is the week before Fall Break! 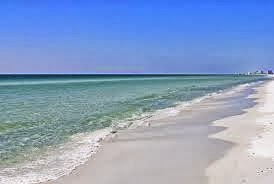 Yep...in T-5 days I am beach bound and this will be my view for 7 days. Hate me now. It's okay! Have a great week! Oh no! My computer says" access denied by google.docs! Is there another way to access your lesson plans? Enjoy your fall break - it looks beautiful! Thanks for sharing your plans. Hard to fit everything in in a half day kindergarten.